A quick Internet search will tell you that there are hundreds of certified EHR vendors to choose from. That can cause anyone to feel overwhelmed. Before you begin calling them, you'll want to find out if they are going to work well with your practice management software. Choosing one that doesn't integrate with your practice management software can result in double entries in areas such as patient demographics and patient diagnoses. Once you've found some that do integrate with your software, do a little more research and find out how satisfied other providers in your field were when they chose it. You can even ask the vendor for references. Doing these two important steps will help you understand if a vendor is one you should contact. 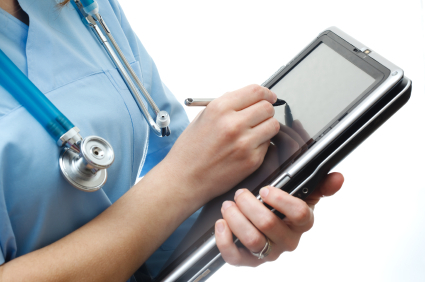 What Does the EHR Vendor Offer? What is the cost to upgrade your equipment, or service in the future? Are there interfaces for laboratories and pharmacies to connect with your practice? What type of support is available during the implementation period? Vendors who offer a product demonstration will be able to give you a more clear picture of what your practice will look like post-implementation. It's a good idea to be sure you always get a demonstration because only that will tell you if you like the features the system has to offer. Many medical practices have jumped into the purchase of an EHR system before they had all of the information they needed to make a wise choice. You'll want to refer to your goals to help you determine the features you will need with your certified EHR. For example, if you have an ophthalmology practice, you'll want an EHR system that supports medical images. Your vendor should be able to seamlessly integrate an imaging process into your EHR system. If you are not a specialist, there are probably many features that you would still like to have with your system, and there are many that will still be beneficial for you. Your vendor will be able to give you the guidance you need in determining which features would suit your practice the best. Most EHR vendors would suggest that you have a clear list of your practice's intended goals for your certified EHR system handy, and then choose your system. Once you've chosen your system, it will take some time to finalize your plan, but you'll find that as long as you keep your goals in mind, the process will go very smoothly. Selecting or upgrading to a certified EHR is an important task, and a big investment for your practice. However, an excellent vendor will be able to guide you every step of the way. If you'd like more information on the selection of your EHR system, we'd like to help you. Contact us for more information.